Vukani Gaming Corporation (Pty) Ltd (the VGroup), is the leading supplier of Limited Pay-out Machines (LPMs), and an operator of both VSlots and Luck@It LPMs in South Africa. The Group is 100% South African owned and operated, with a presence in all nine provinces in the country. To date, the most prominent brand within the VGroup is the largest route operator South Africa, established in 1994, VSlots. The VGroup has built a solid track record, operating more LPMs than all other operators in the country, combined. 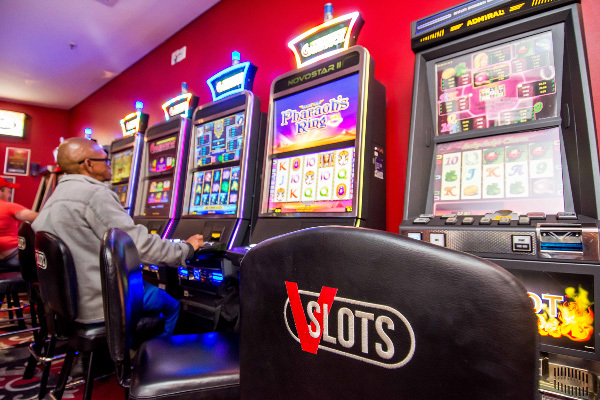 With the lion’s share of the market, the VGroup group offers small business owners the opportunity to be more profitable by providing access to on-site LPM and gaming machines, along with access to a full support structure. From the latest gambling machine technology to working closely with the gambling per industry requirements and standards, the Group offers products and value-added services going beyond traditional slot machines. The VGroup supports responsible gambling. Vukani Gaming Corporation (Pty) Ltd (the VGroup), is the leading supplier of Limited Pay-out Machines (LPMs), and an operator of both VSlots and Luck@It LPMs in South Africa. The Group is 100% South African owned and operated, with a presence in all nine provinces in the country. The contact centre operates 24/7. It is imperative that a reference number is obtained from the agent who assists at all times. Copyright © 2018 - Vukani Gaming Corporation (Pty) Ltd. All rights reserved. Website Design by Design@Bay.